[map] [street view] Just east of Lily Orchard Road, north of Pascagoula. 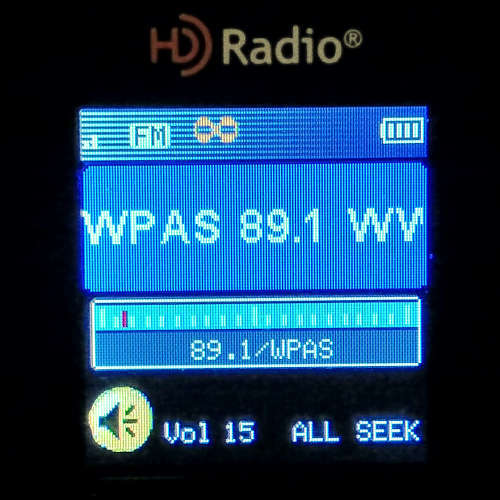 [Picture] Image showing the RDS text display of an Insignia HD portable, with the PI (call sign) and Radio Text fields. 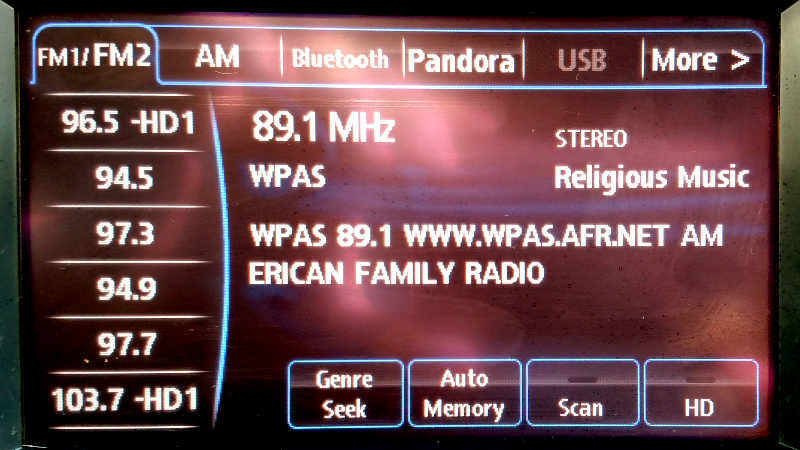 [Picture] Image showing the RDS text display of a Mazda sedan's radio, with the PS (station name), Radio Text and PTY (format) fields. Came on in October 2005 as a repeater of Tupelo-based American Family Association programming. Had taken on the name "The Passage" but that was later dropped for generic AFR branding.